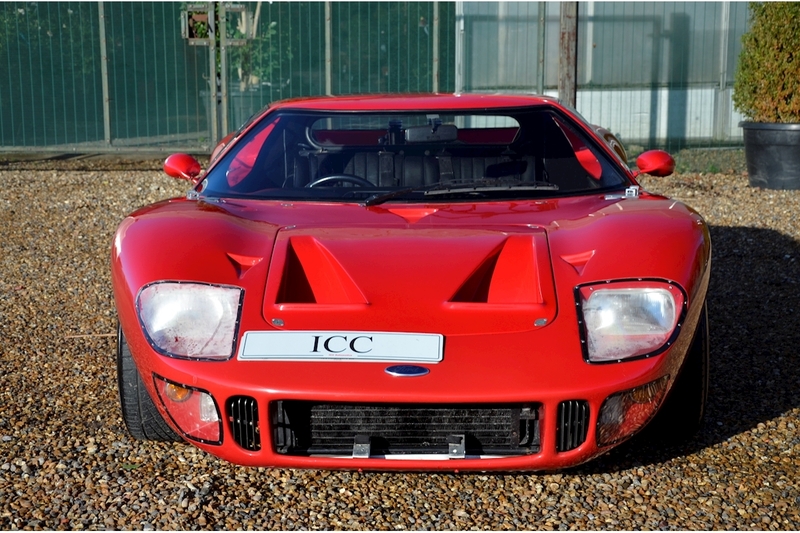 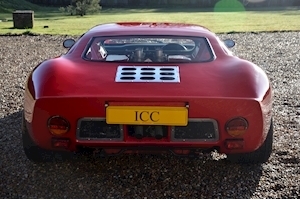 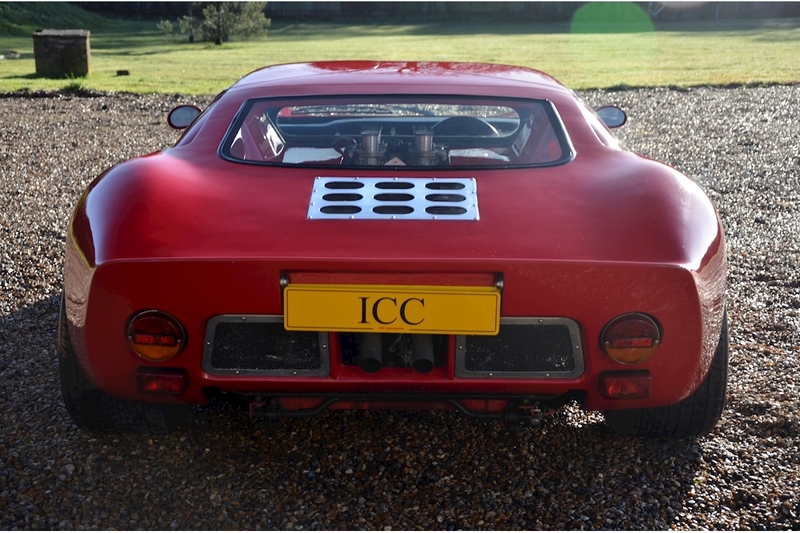 ICC are proud to bring to sale quite possibly one of the best looking motor cars to have ever been designed and produced. 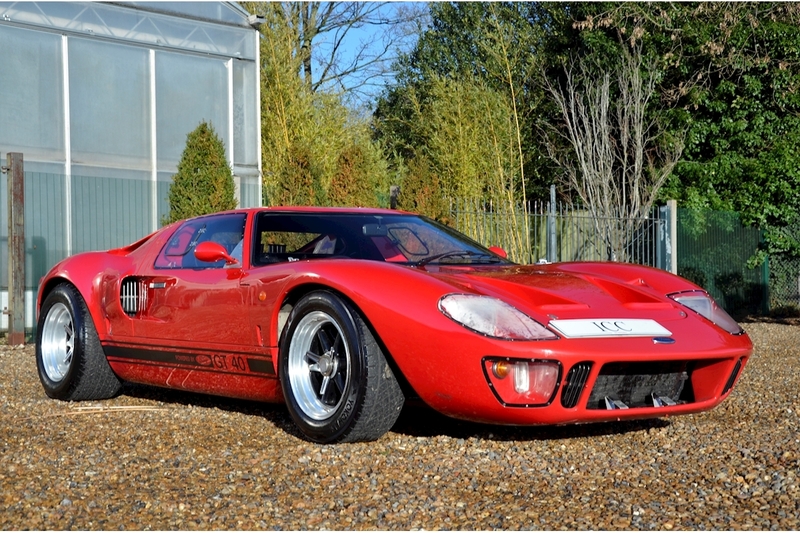 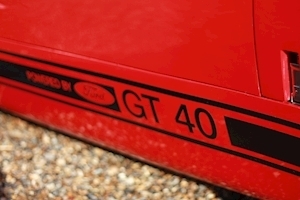 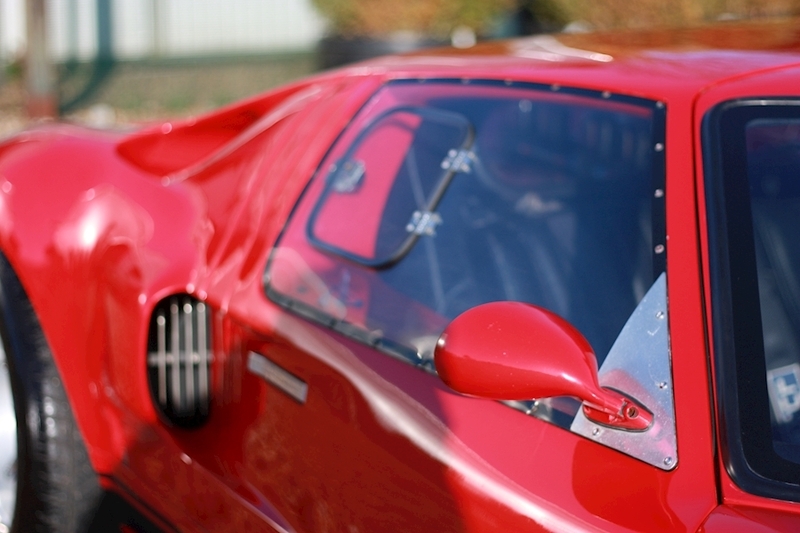 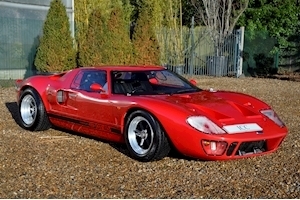 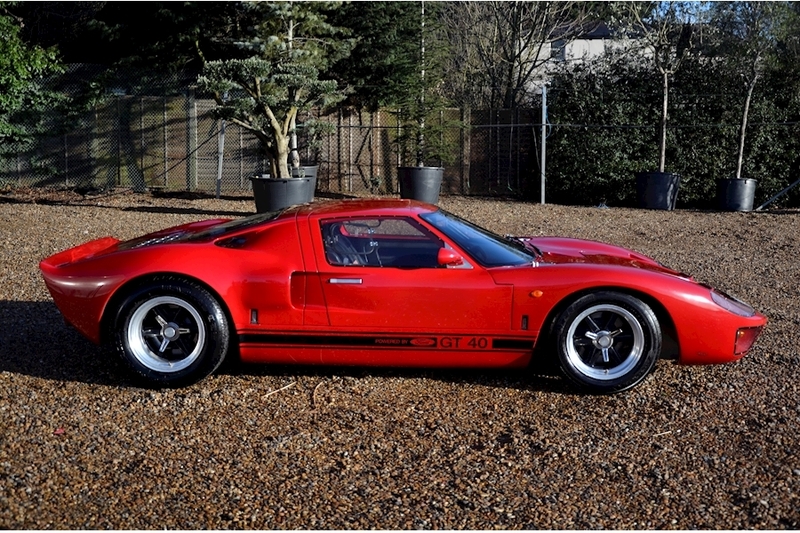 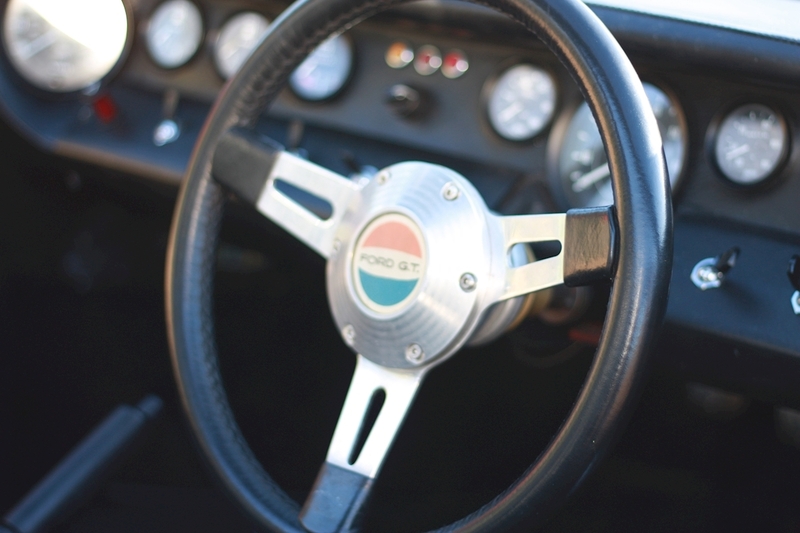 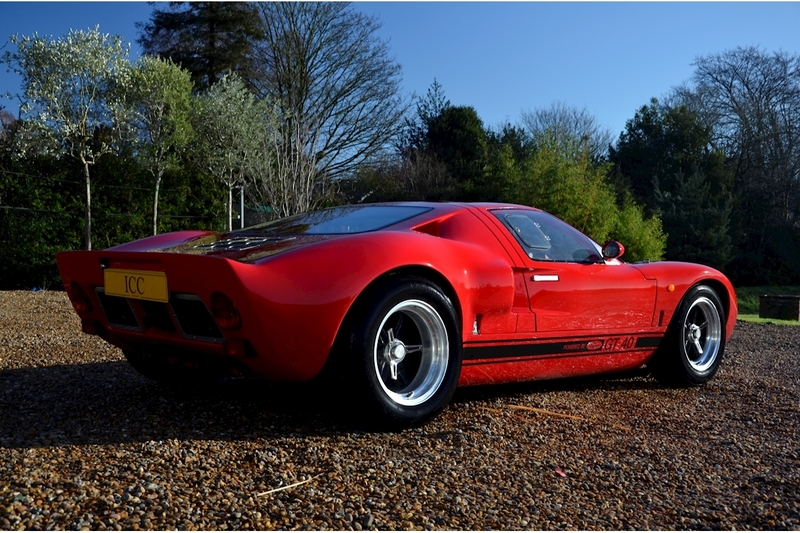 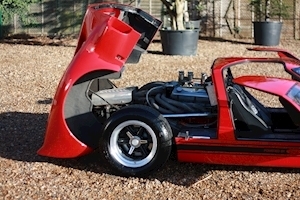 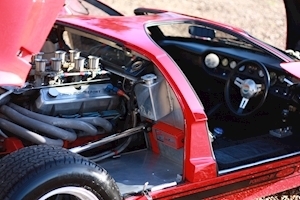 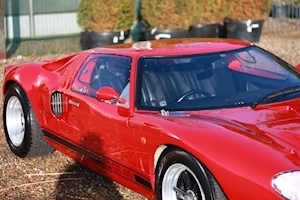 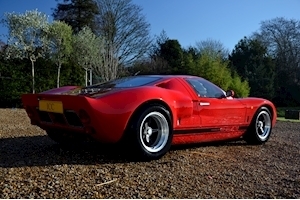 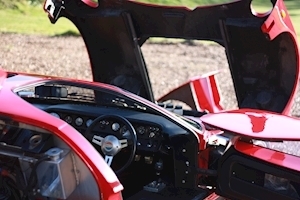 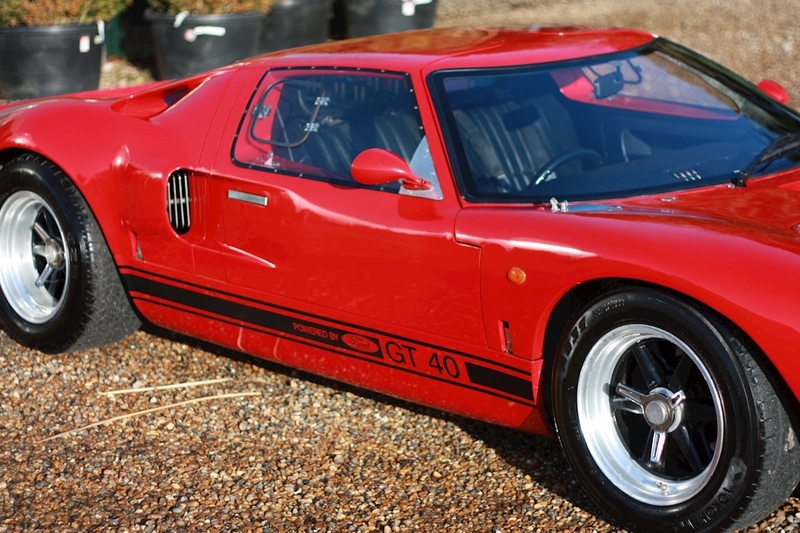 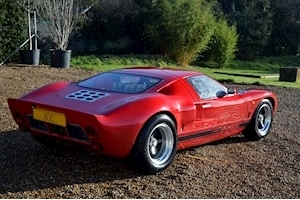 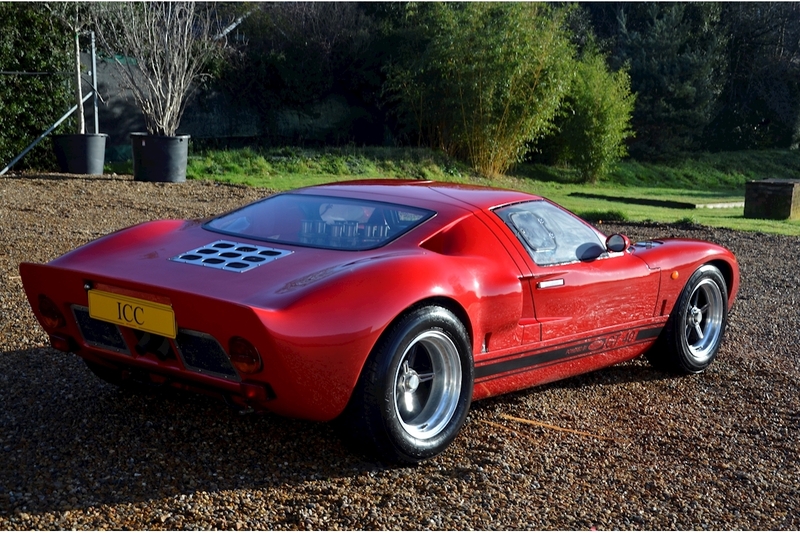 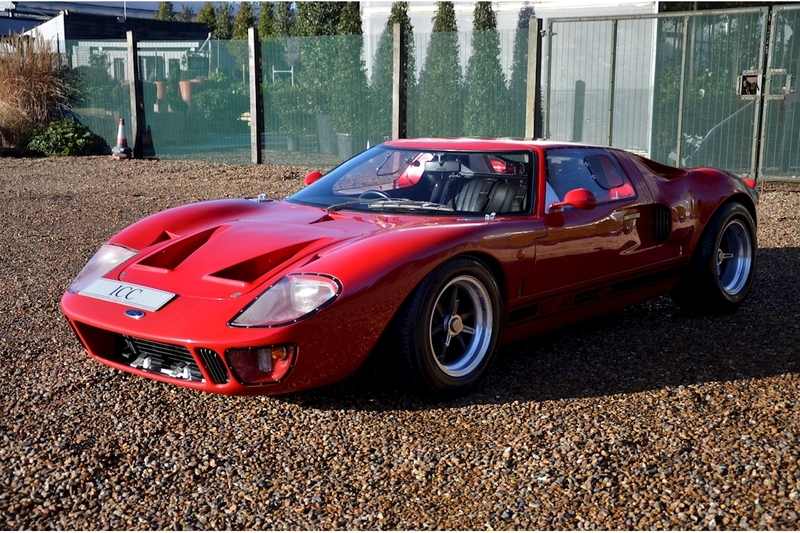 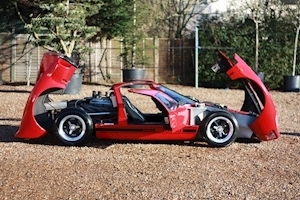 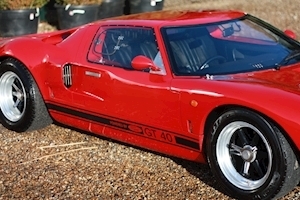 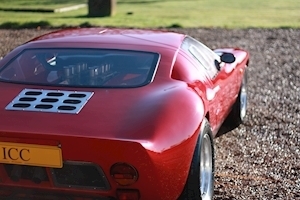 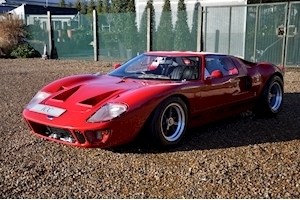 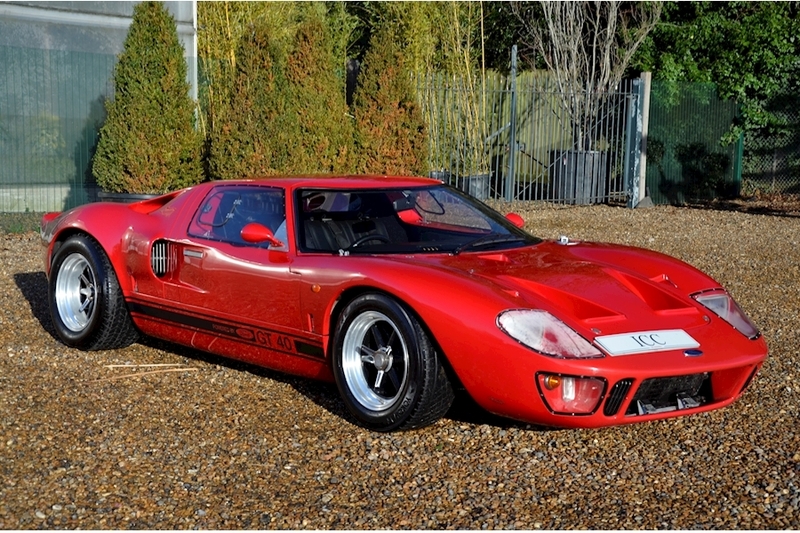 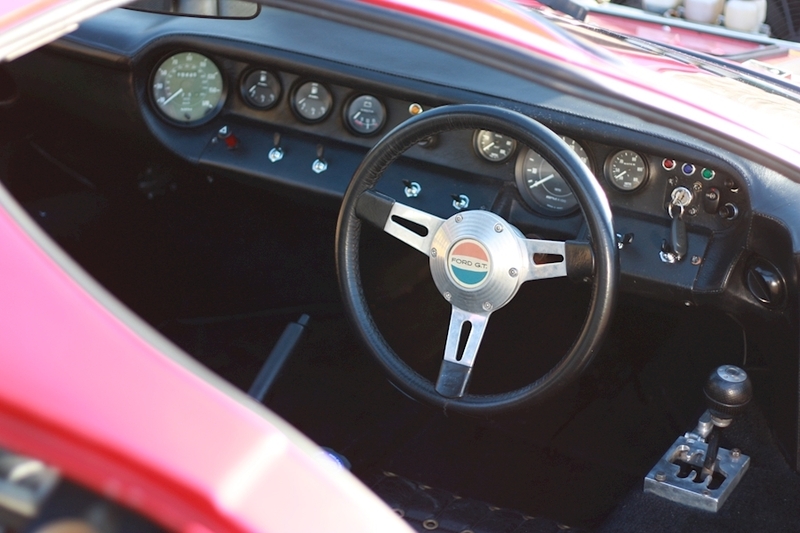 This GT 40 (reproduced by GT Developments) is a recreation of the highest order with a fantastic level of attention to detail delivering a near identical driving experience to the original. 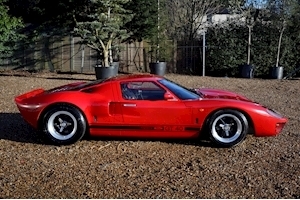 Finished in Ferrari Rosso Corsa with black leather interior which is presented in excellent condition inside and out. 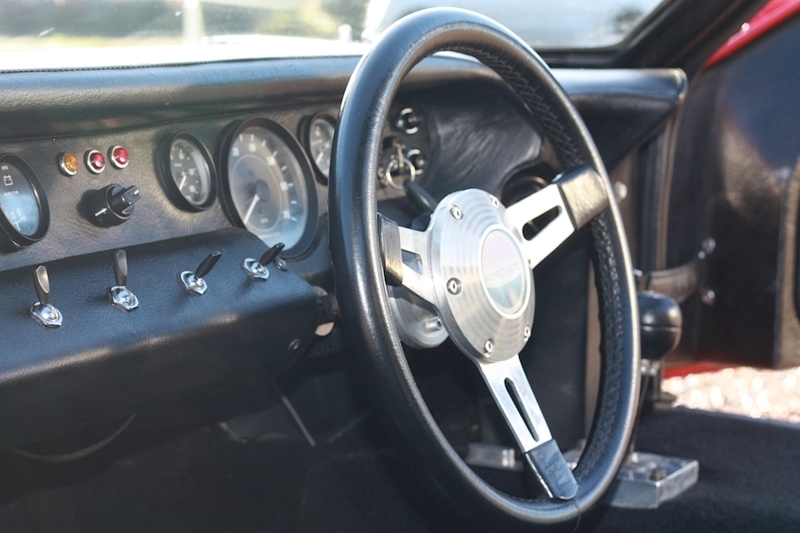 Fully trimmed in black leather with black carpets. 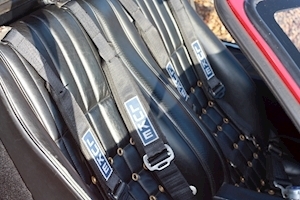 Seats have an original appearance and have been specially made to fit the car to provide increased legroom and comfort. Leather steering wheel, Smiths instruments, Electronic doo, 5 point harness seat belts. 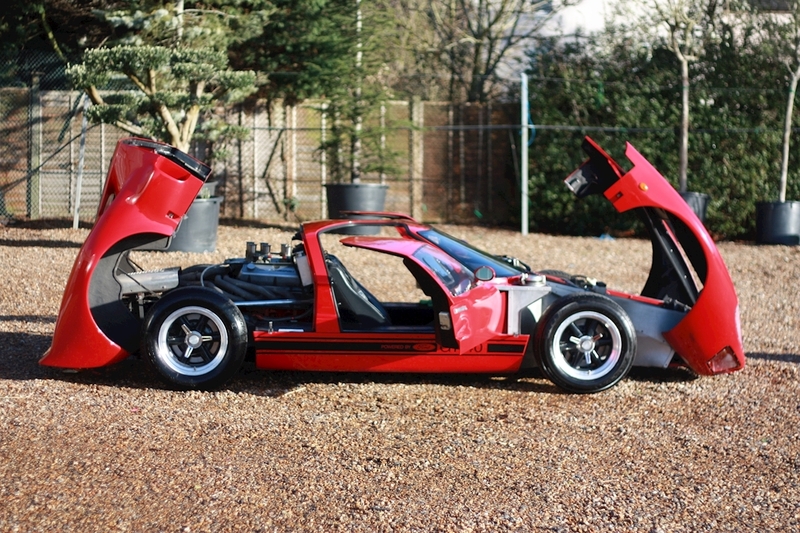 Body is GT40 MK1 finished in a single colour. 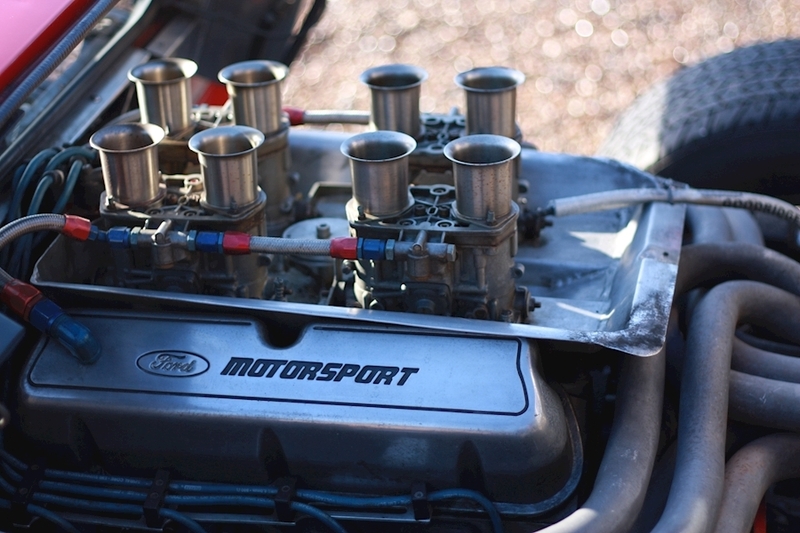 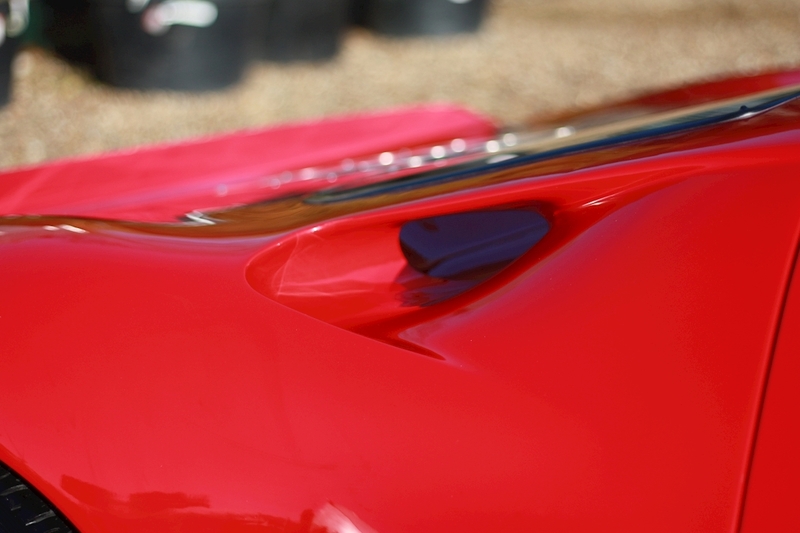 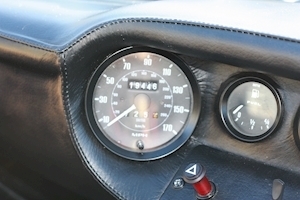 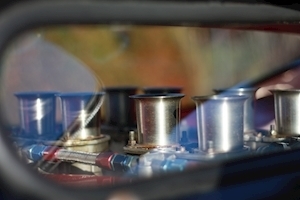 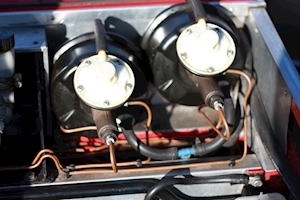 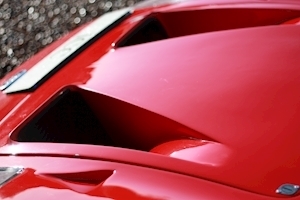 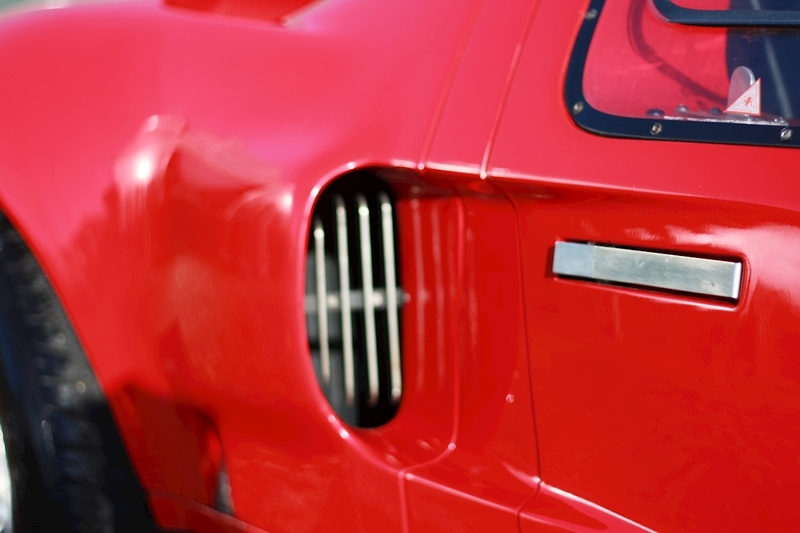 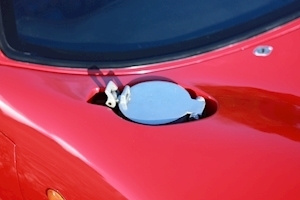 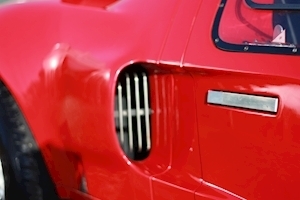 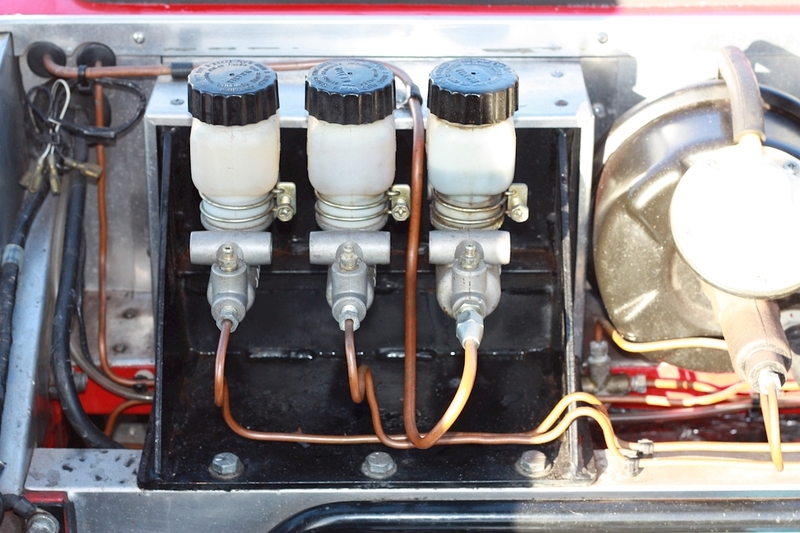 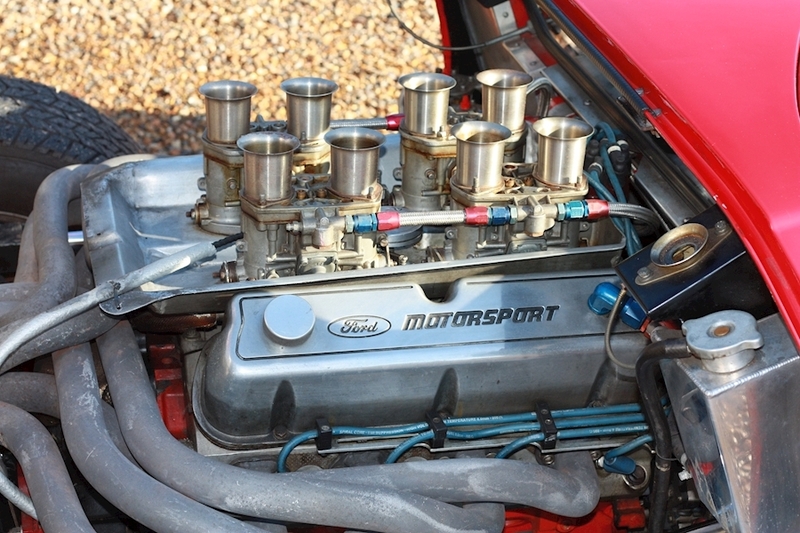 Modified front nostril to provide deeper vent for improved cooling; the original double inlet of the MK1 is retained. 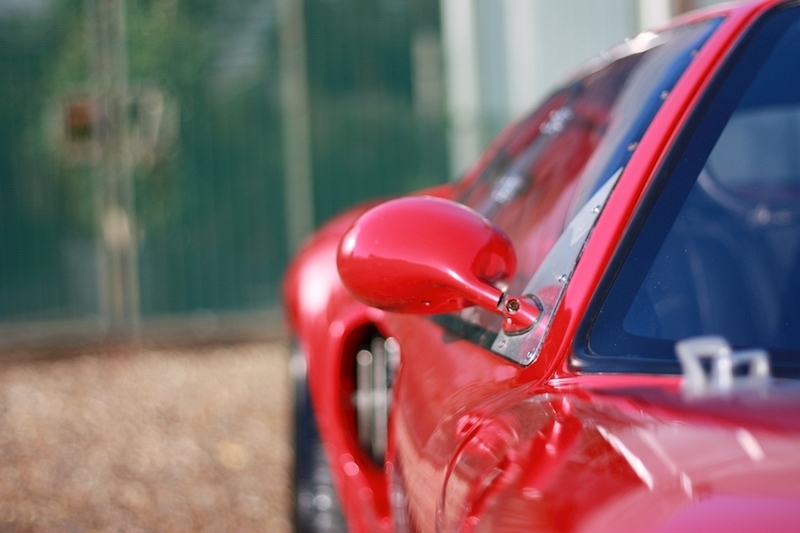 Finished to high standard with consistent shut lines to doors, bonnet and rear cover. 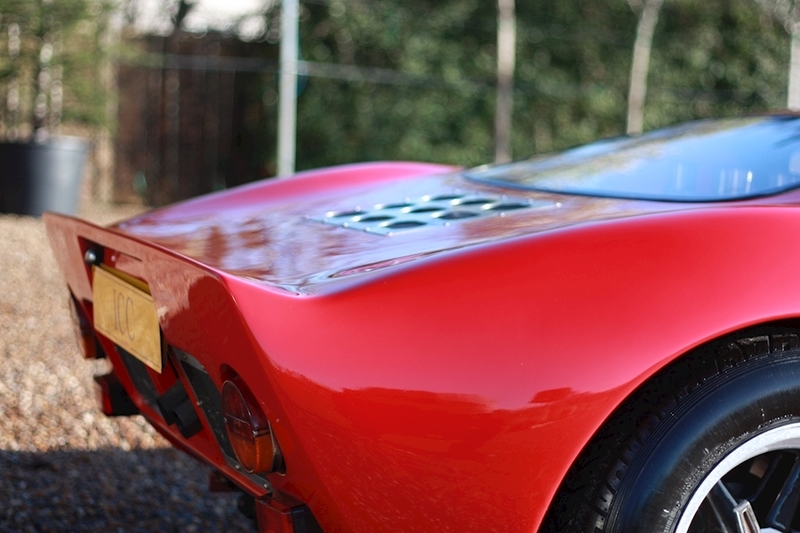 Aluminium panelling to front and rear . 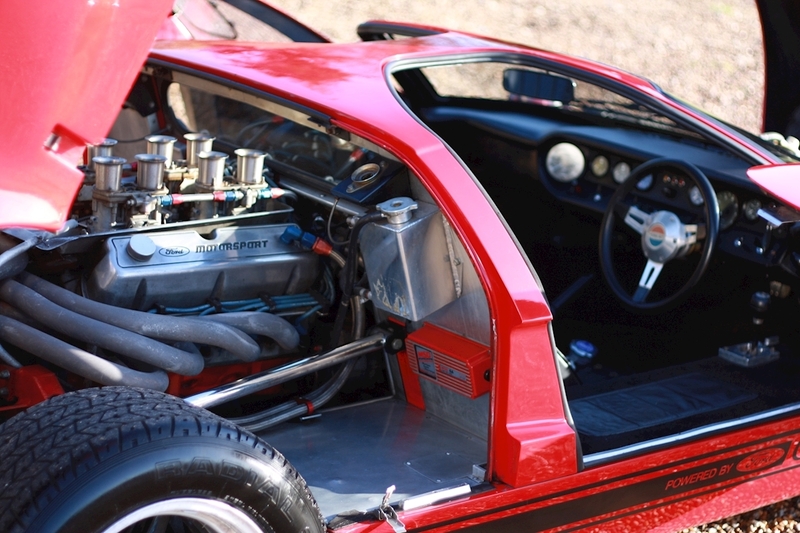 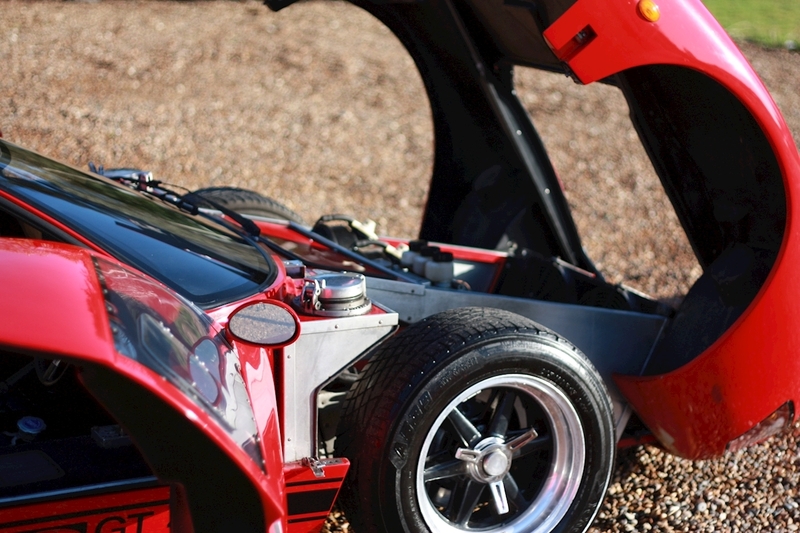 GTD chassis is aluminium panelled throughout in place of standard glass fibre tub. 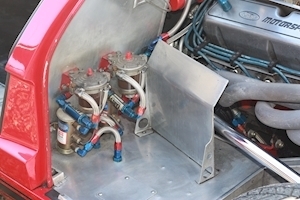 Front and rear uprights are chromed. 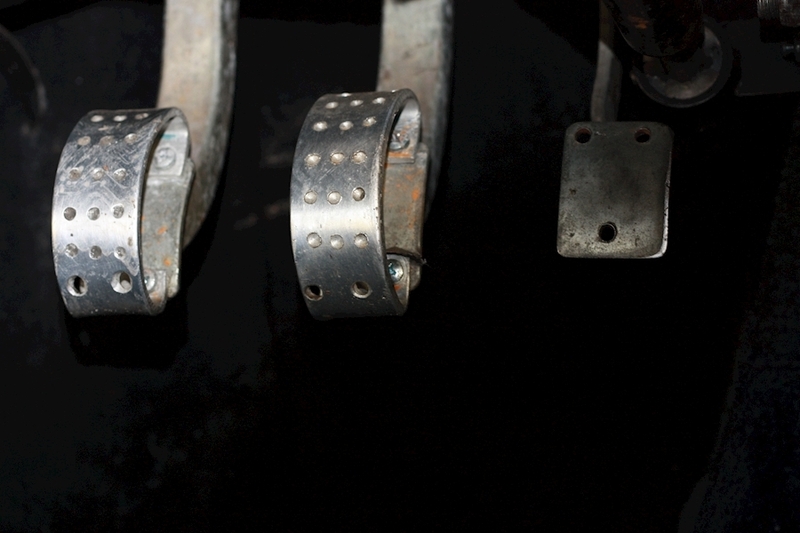 Fabricated front/rear uprights and hubs for pin drive wheels. 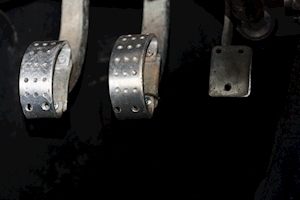 Springs have been uprated to 400lbs front and 450 rears with Spax adjustable shocks. 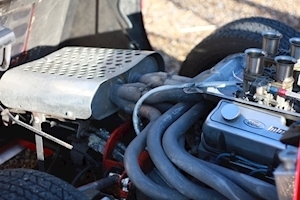 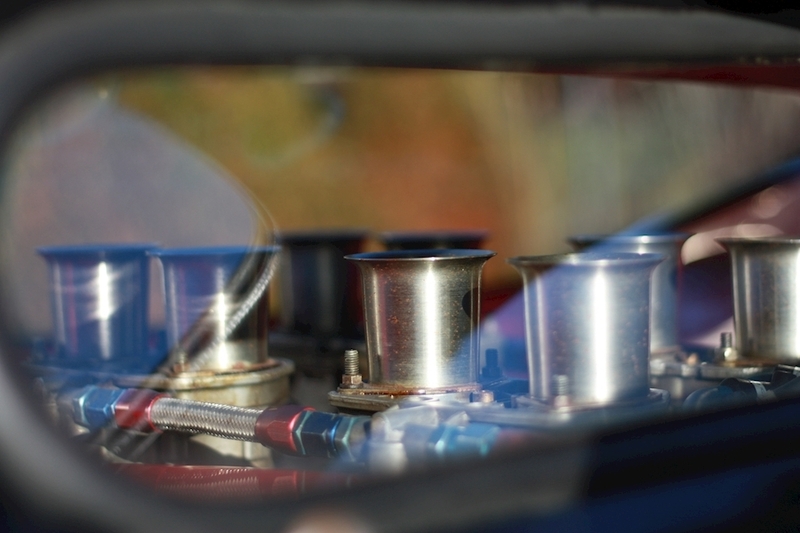 4,900 miles covered since engine was built with all new components. 15 " Aluminium Pin Drive BRM replica (6 spoke) with black centres and polished rims. 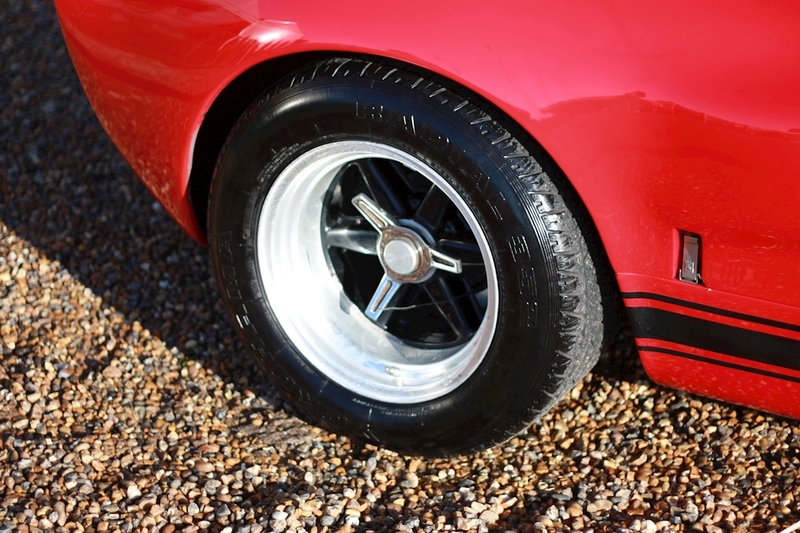 Tyres BF Goodridge 235/50 front 265.60 rear. 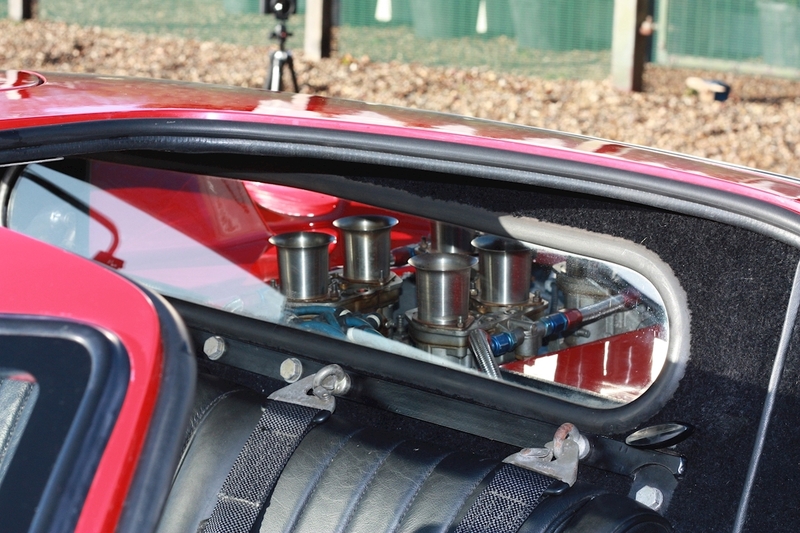 Dual servo assisted brakes; Uprated front and rear discs (295mm) with Willwood four pot calipers front, and single piston combined handbrake caliper (single piston) operation on rear. 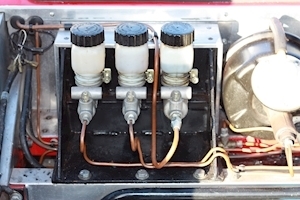 Dual circuit system with Tilton pedals and 2 cylinders with bias bar.